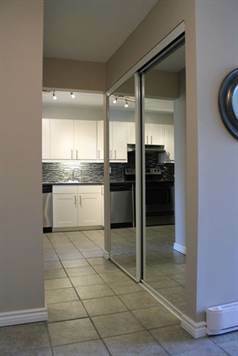 Beautiful two bedroom, 2 bath MAIN LEVEL condo for rent in the heart of Kanata. Fantastic location! Immediate occupancy, or June 1st availability. - Superb condition - ULTRA CLEAN - sparkling new for you to move into! $1350 per month plus hydro. One parking spot included. Storage in unit. Available immediately, or June 1st. Pet-free, smoke-free unit. References required. Call today to set up your private viewing!